About Us / Awards / HKIA Double! 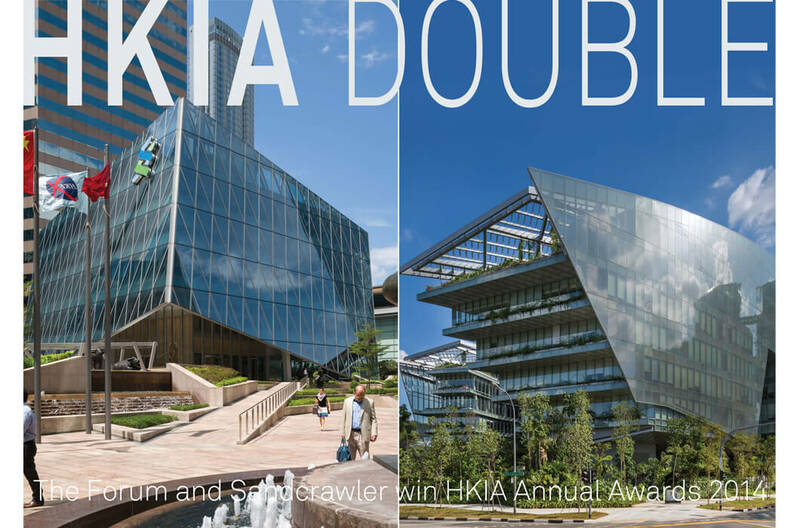 The Forum in Hong Kong, designed by Aedas, received a Merit Award of Hong Kong; while Sandcrawler in Singapore, designed by Andrew Bromberg of Aedas, won a Merit Award outside Hong Kong at the Hong Kong Institute of Architects (HKIA) Annual Awards 2014. Sandcrawler, designed by Andrew Bromberg of Aedas, is the new regional headquarters for Lucasfilm Singapore with office spaces to lease. Located on plot CX2-1, this sleek, elevated office building is impressively streamlined. Its horseshoe form arose as a logical outcome of the masterplanning restrictions which dictated the roof height and slope as well as the amount of required elevation on each face. These requirements were overlaid with client’s needs, including large floorplates and lifting the building off of the ground to afford some privacy and security to the sensitive work being performed inside. The maximum depths of office space to natural light shaped the floors into a ‘V’ plan overlooking the lush courtyard enclosed and below. The open courtyard landscaped in a natural, overgrown manner creates a great civic space and gives a strong civic dimension not normally associated with corporate offices. 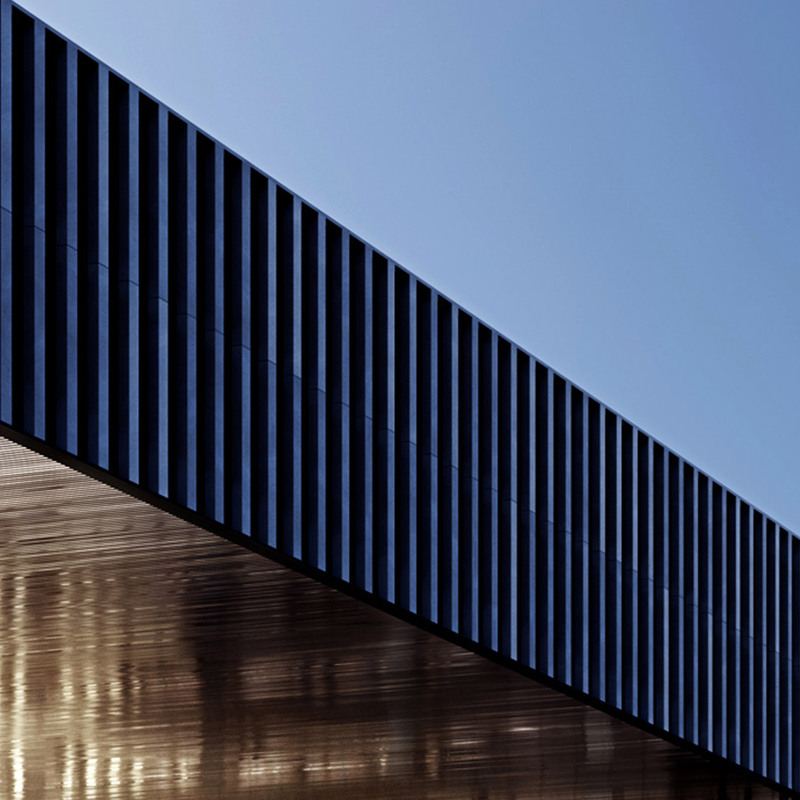 The taut external metallic façade allows for good solar protection and privacy on the more exposed faces while presenting an aerodynamic appearance. The courtyard facing façade is of highly transparent glass with inverted terraces overshadowing the lower levels for shading. Inside the building, there is an expressively contoured 100-seat theatre for screenings, performances and other events. ​Established since 1965, HKIA Annual Awards recognise outstanding architecture designed by its members. 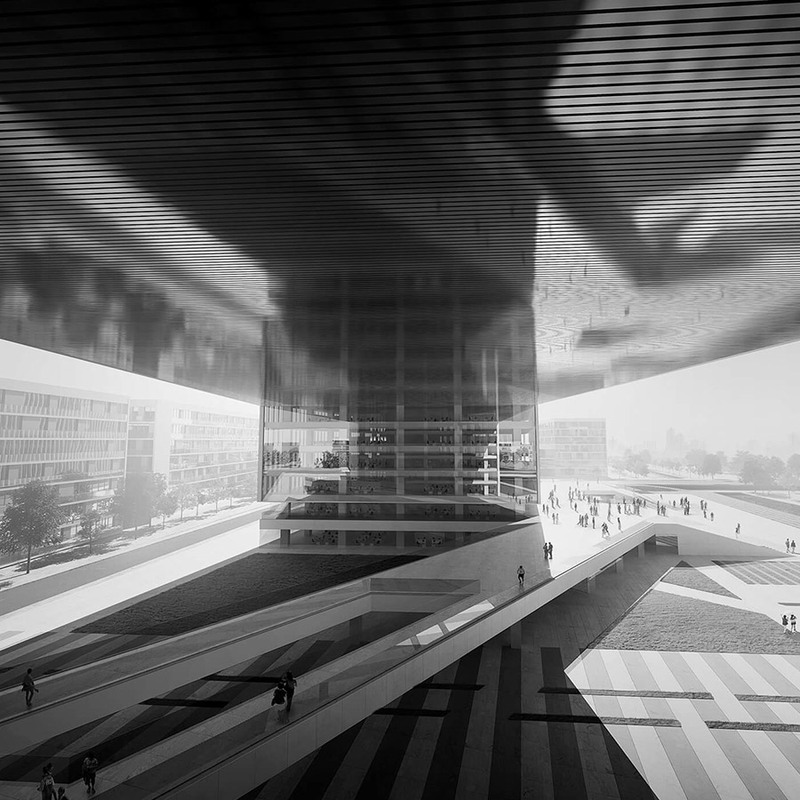 It is the most important architectural award given in Hong Kong.